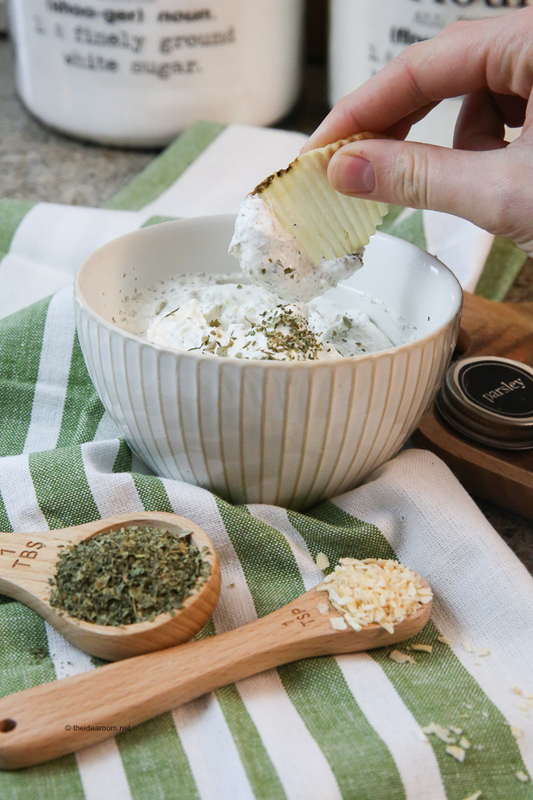 This creamy and flavorful french onion dip is the perfect appetizer recipe for any party. 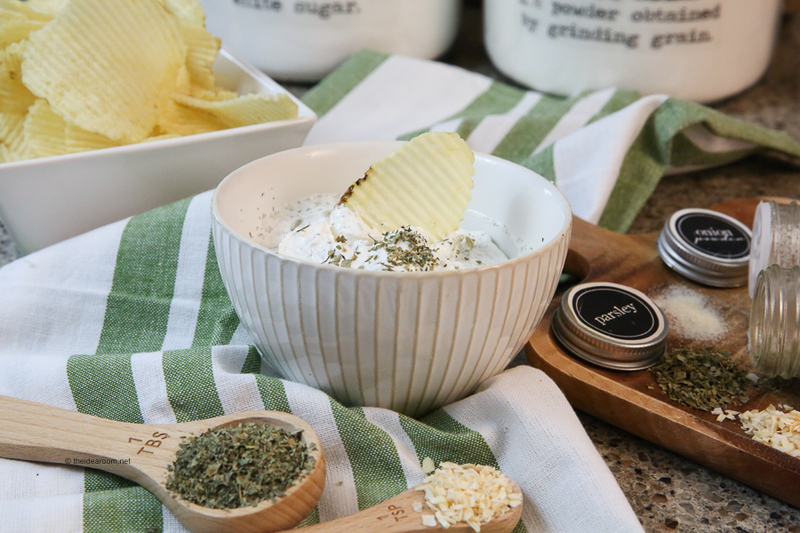 Our onion dip pairs well with your favorite cracker or chip. Takes less than 5 minutes to whip up. 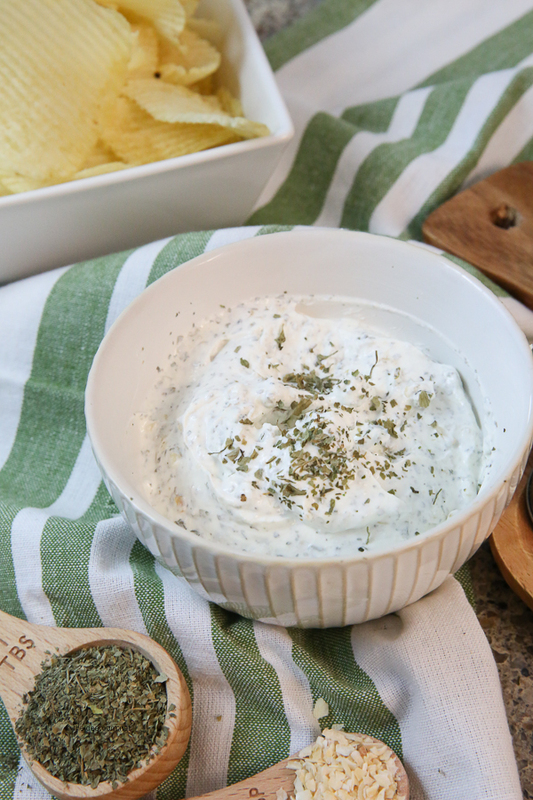 This french onion dip is a family favorite! It always makes an appearance a few times a year at our various family parties and get togethers. It was one of my dad’s favorite snacks when I was growing up. He always loved to pair it with his favorite potato chips. Since he passed away a couple of years ago, I have tried to make it a little more often because it always brings back great memories of him at our family functions. Do you have any recipes that hold great memories like that? One of my favorite things about this french onion dip recipe is that it literally can be thrown together in minutes! 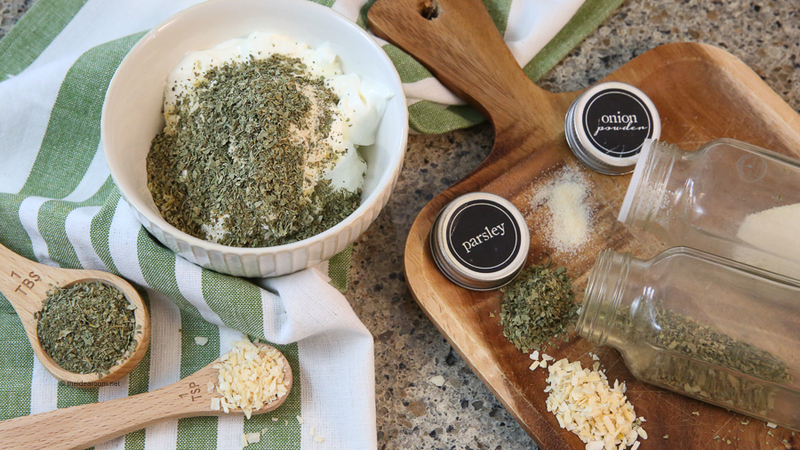 You most likely have every thing in your cupboards and fridge right now to make some too! 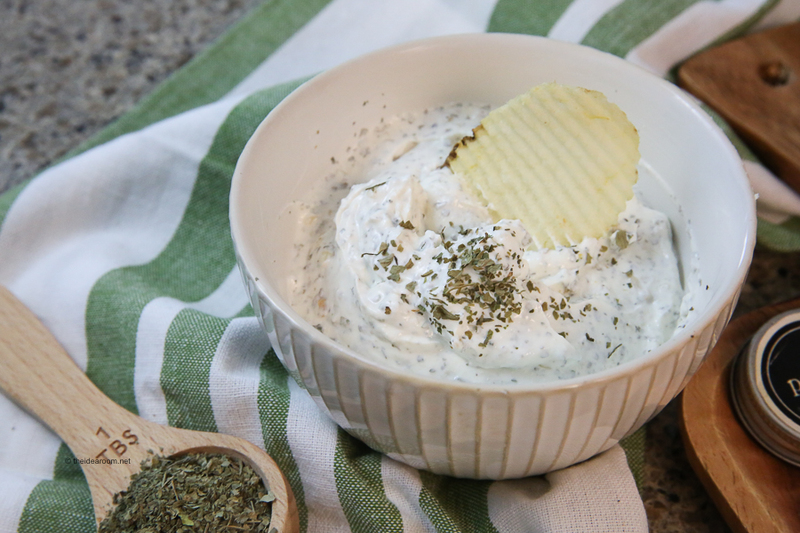 No fancy ingredients for this delicious dip recipe! It is always a crowd pleaser too, so it’s a great recipe to have on hand to fall back on when you can’t figure out what to bring to your next party! Like I mentioned earlier, this is literally a recipe where you dump in the ingredients and mix it together until it is nice and creamy. The recipe calls for sour cream. 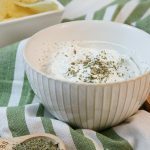 Now I am all for saving calories when and where you can, but if you truly want the most amazing and flavorful dip, you will want to make sure and use the full fat sour cream. You can use the low fat sour cream, but I promise you…it won’t taste nearly as good as the full fat version. Place sour cream in a small bowl. Add dried onion, onion powder, garlic powder, salt, and parsley. Mix together very well until completely uniform. Refrigerate for 1 hour to allow the flavors to meld and the dried onion to soften. Store in the refrigerator for 5–7 days. To see how to make the french onion dip, watch this video to see exactly how it is made. Thanks for stopping by! I hope you enjoyed this recipe! 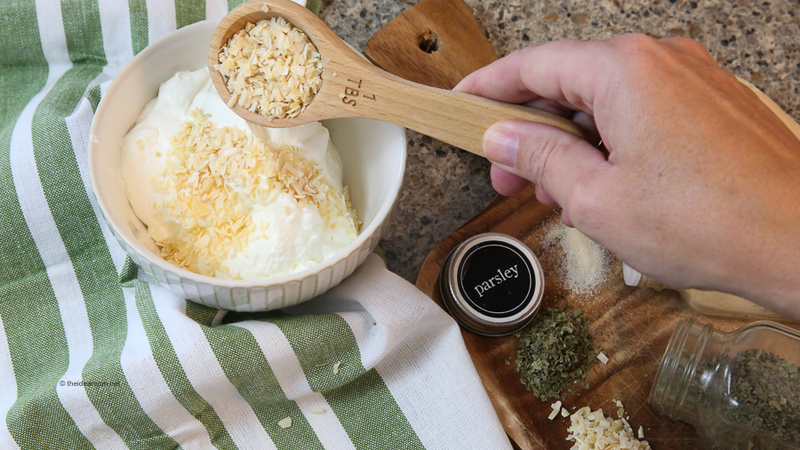 This is one of my favorite dips!! Love that I can make it from scratch! I am so ready for BBQ’s & picnics! Kristyn- I am so ready for summer too! This was a hit- so quick and easy too! Becca- So happy you enjoyed the recipe!